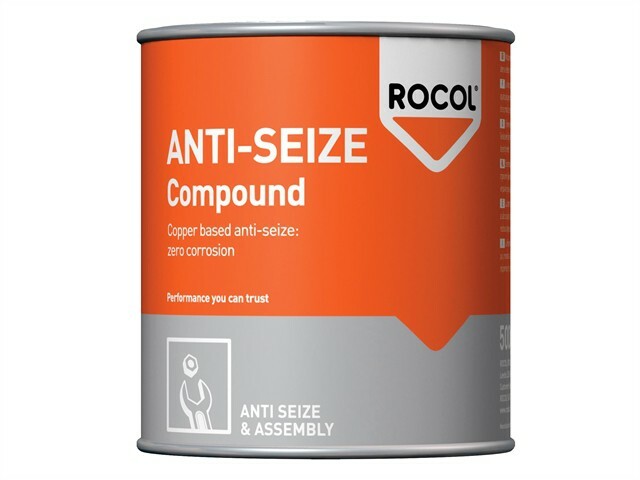 ROCOL ANTI-SEIZE Compound is copper based, lead free formulation, and used to prevent seizure and galling of all threaded and static fasteners. Lubricates, protects and eases dismantling, effective even in the most aggressive environments, insoluble in water. Ideal for furnaces, exhaust systems, dockside and oil rig applications. Temperature range -10°C to +1,100°C.